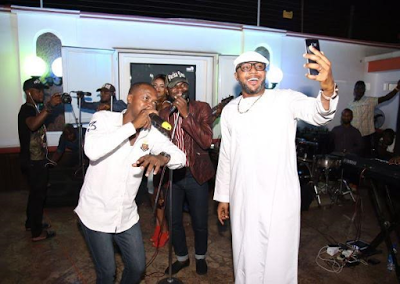 Five Star Music CEO, E-Money last Saturday turned a year older. 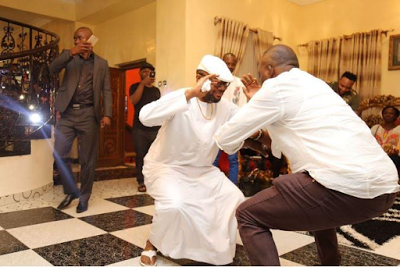 Here are photos from a surprise house party his wife Juliet Okonkwo threw to celebrate him. 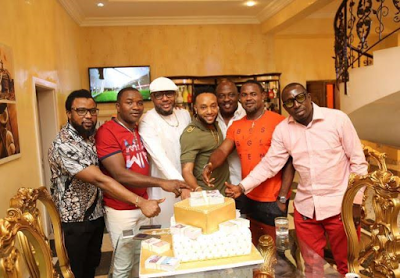 E-Money's family, close friends which include Mike Ezuruonye, Iyabo Ojo, Fathia Balogun and colleagues attended the party which held at the Five Star Mansion in Lagos.